The Porsche 911 is a luxury 2-door sports coupe made by Porsche AG of Stuttgart, Germany. It has a distinctive design, rear engined and with independent rear suspension, an evolution of the swing axle on the Porsche 356. The engine was also air-cooled until the introduction of the Type 996 in 1998. Since its introduction in autumn 1963, it has undergone continuous development, though the basic concept has remained little changed. Throughout its lifetime, the 911 has been modified by private teams and by the factory itself for racing, rallying and other forms of automotive competition. It is among the most successful competition cars ever. In the mid 1970s, normally aspirated 911 Carrera RSRs won major world championship sports car races such as Targa Florio, Daytona, Sebringand Nürburgring, even against prototypes. The 911-derived 935 turbo also won the coveted24 Hours of Le Mans in 1979. In the 1999 international poll for the award of Car of the Century, the 911 came fifth. It is one of two in the top five that had remained continuously in production, and was until 1998 the most successful surviving application of the air- (now water-) cooled opposed rear engine layout pioneered by its original ancestor, the Volkswagen Beetle. It is one of the oldest sports coupe nameplates still in production. The series letter (A, B, C, etc.) is used by Porsche to indicate the revision for production cars. It often changes annually to reflect changes for the new model year. 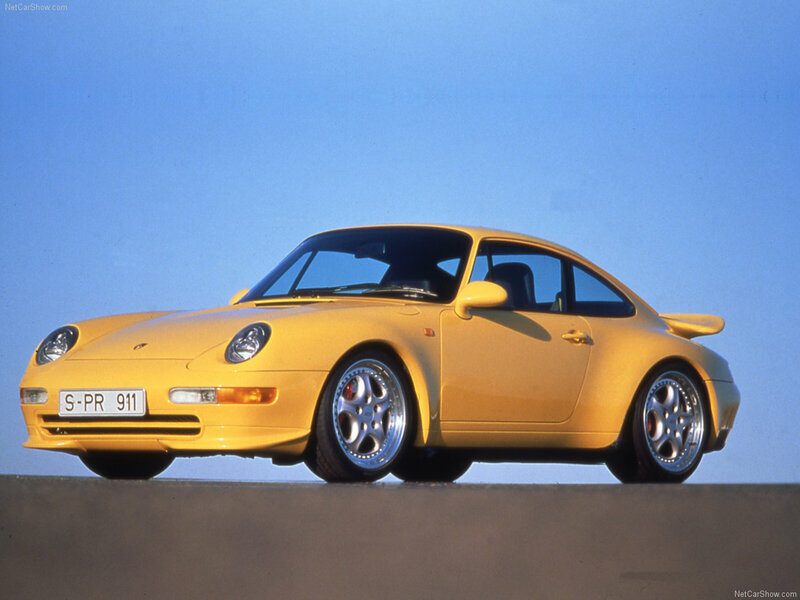 The first Porsche 911 models are the “A series”, the first 993 cars are the “R series”. Not all of the Porsche 911 models ever produced are mentioned here. The listed models are notable for their role in the advancements in technology and their influence on other vehicles from Porsche. The Porsche 911 can trace its roots back to sketches drawn by Ferdinand “Butzi” Porsche in 1959. The Porsche 911 classic was developed as a much more powerful, larger, more comfortable replacement for the Porsche 356, the company’s first model. The new car made its public debut at the 1963 Frankfurt Motor Show . The car presented at the auto show had a non-operational mockup of the 901 engine, receiving a working one in February 1964. It originally was designated as the “Porsche 901” (901 being its internal project number). 82 cars were built as 901s. However, Peugeot protested on the grounds that in France it had exclusive rights to car names formed by three numbers with a zero in the middle. 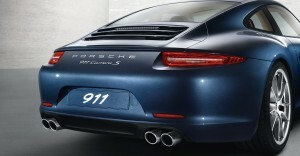 So, instead of selling the new model with another name in France, Porsche changed the name to 911. Internally, the cars part numbers carried on the prefix 901 for years. 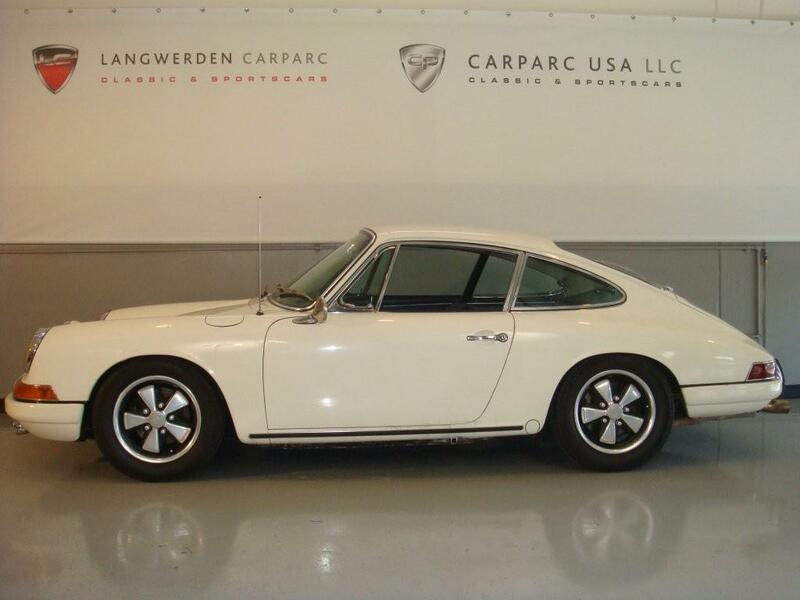 Production began in September 1964, the first 911s reached the US in February 1965 with a price tag of US$6,500. The earliest edition of the 911 had a 130 PS (96 kW; 128 hp) flat-6 engine, in the “boxer” configuration like the Porsche 356, air-cooled and rear-mounted, displaced 1991 cc compared with the 356’s four-cylinder, 1600 cc unit. The car had four seats although the rear seats were very small, thus the car is usually called a 2+2 rather than a four-seater (the 356 was also a 2+2). It was mated to a four or five-speed manual “Type 901” transmission. The styling was largely by Ferdinand “Butzi” Porsche, son of Ferdinand “Ferry” Porsche. Erwin Komenda, the leader of the Porsche car body construction department, was also involved in the design. The Porsche 356 came to the end of its production life in 1965, but there was still a market for a 4-cylindercar, particularly in the USA. The Porsche 912, introduced the same year, served as a direct replacement, offering the 356’s 4-cylinder, 1600 cc, 90 hp (67 kW) engine inside the Porsche 911 bodywork. In 1966 Porsche introduced the more powerful Porsche 911S, the engine’s power raised to 160 PS (118 kW; 158 hp). Alloy wheels from Fuchs, in a distinctive 5-leaf design, were offered for the first time. In motorsport at the same time, installed in the mid-engined Porsche 904 and Porsche 906, the engine was developed to 210 PS (154 kW). In 1967 the Targa (meaning “shield” in Italian) version was introduced as a “stop gap” model. 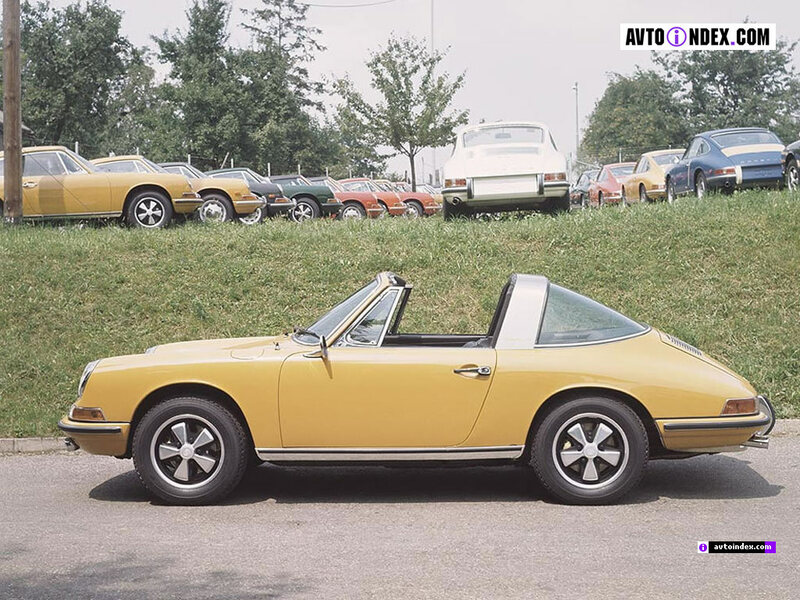 The Targa had a stainless steel-clad roll bar, as Porsche had, at one point, thought that the NHTSA would outlaw fully open convertibles in the US, an important market for the Porsache 911. The name “Targa” came from the Targa Florio sports car road race in Sicily, Italy in which Porsche had notable success, with seven victories since 1956, and four more to come until 1973. This last win in the subsequently discontinued event is especially notable as it was scored with a Porsche 911 Carrera RS against prototypes entered by Italian factories of Ferrari and Alfa Romeo. The road going Targa was equipped with a removable roof panel and a removable plastic rear window (although a fixed glass version was offered alongside from 1968). 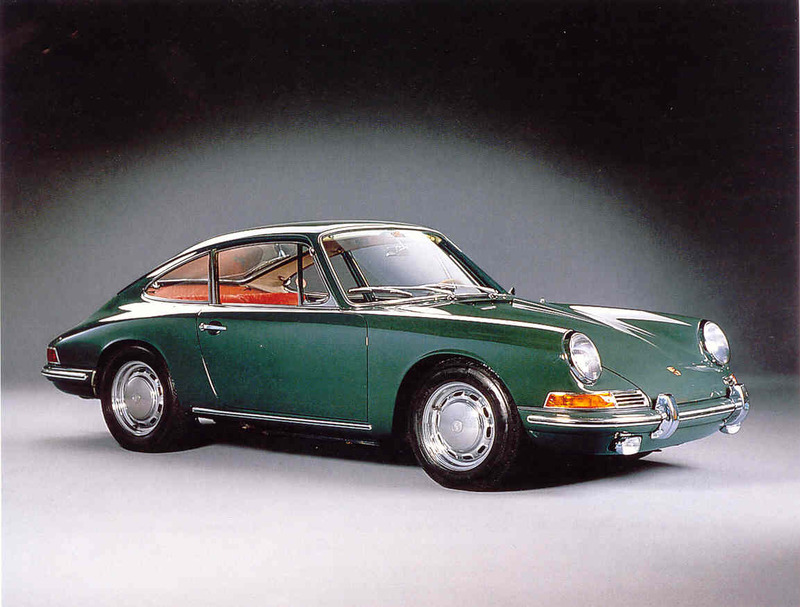 The 110 PS (81 kW; 108 hp) 911T was also launched in 1967 and effectively replaced the 912. The staple 130 PS (96 kW; 128 hp) model was renamed the Porsche 911L. The Porsche 911R had a very limited production (20 in all), as this was a lightweight racing version with thin aluminium doors, a magnesium crankcase, twin-spark cylinder heads, and a power output of 210 PS (154 kW). 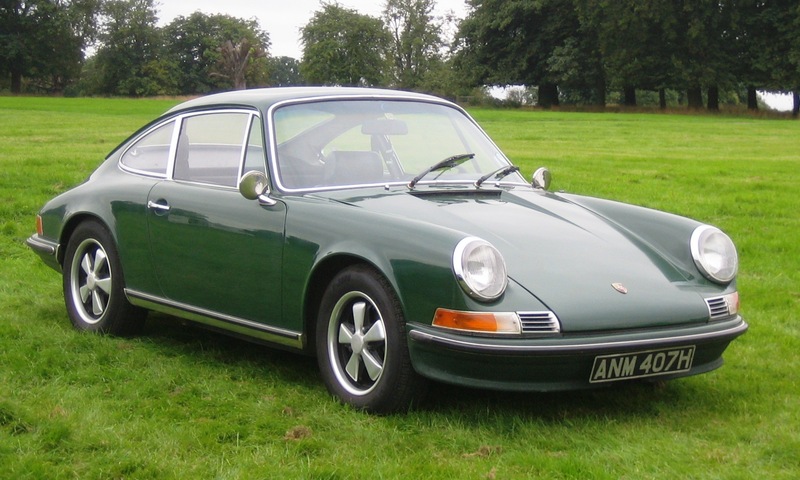 In 1969 the B series was introduced: the wheel base for all Porsche 911 and 912 models was increased from 2211 to 2268 mm (87 to 89¼ in), an effective remedy to the cars nervous handling at the limit. The overall length of the car did not change: rather, the rear wheels were relocated aft. Fuel injection arrived for the Porsche 911S and for a new middle model, Porsche 911E. A semi-automatic Sportomatic model, composed of a torqueconverter, an automatic clutch, and the four speed transmission, was added to the product lineup. It was canceled after the 1980 model year partly because of the elimination of a forward gear to make it a three-speed. The 2.2 L 911E was called “The secret weapon from Zuffenhausen”. Despite the lower power output of the 911E (155 PS (114 kW; 153 hp)) compared to the Porsche 911S (180 PS (132 kW; 178 hp)) the Porsche 911E was quicker in acceleration up to 160 km/h (100 mph). The 1972–1973 model years consisted of the same models, but with a new, larger 2341 cc (142 in³) engine. This is universally known as the “2.4 L” engine, despite its displacement being closer to 2.3 litres. The Porsche 911E and 911S used mechanical fuel injection (MFI) in all markets. For 1972 the Porsche 911T was carbureted, except in the U.S. and some Asian markets where emission regulations forced Porsche to equip the Porsche 911T with mechanical fuel injection. In January, 1973, US Porsche 911Ts were switched to the new K-Jetronic CIS (Continuous Fuel Injection) system fromBosch. 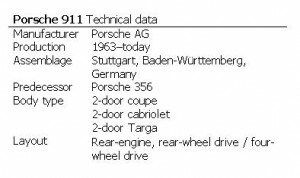 With the power and torque increases, the 2.4 L cars also got a newer, stronger transmission, identified by its Porsche type number 915. Derived from the transmission in the Porsche 908 race car, the 915 did away with the 901/911 transmission’s “dog-leg” style first gear arrangement, opting for a traditional H pattern with first gear up to the left, second gear underneath first, etc. Porsche 911S models also gained a discreet spoiler under the front bumper to improve high-speed stability. With the cars weighing only 1050 kg (2315 lb), these are often regarded as the best classic mainstream 911s. For racing at this time, the Porsche 911 ST was produced in limited numbers (the production run for the ST only lasted from 1970 to 1971). The cars were available with engines of either 2466 cc or 2492 cc, producing 270 PS (199 kW; 266 hp) at 8000 rpm. Weight was down to 960 kg (2166 lb). The cars had success at the Daytona 6 Hours, the Sebring 12 Hours, the 1000 km Nürburgring and the Targa Florio. These models, valued by collectors, are considered by many to be the greatest classic Porsche 911s of all-time. RS stands for Rennsport in German, meaning race sport in English. The Carrera name was reintroduced from the Porsche 356 Carrera which had itself been named after Porsche’s class victories in the Carrera Panamericana races in Mexico in the 1950s. The RS was built so that Porsche could enter racing formulae that demanded that a certain minimum number of production cars were made. Compared with a standard Porsche 911S, the Carrera 2.7 RS had a larger engine (2687 cc) developing 210 PS (150 kW; 210 hp) with MFI, revised and stiffened suspension, a “ducktail” rear spoiler, larger brakes, wider rear wheels and rear fenders. In RS Touring form it weighed 1075 kg (2370 lb), in Sport Lightweight form it was about 100 kg (220 lb) lighter, the saving coming from the thin-gauge steel used for parts of the body shell and also the use of thinner glass. 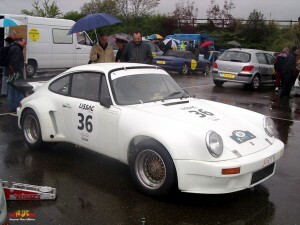 In total, 1580 were made, comfortably exceeding the 500 that had to be made to qualify for the vital FIA Group 4class. 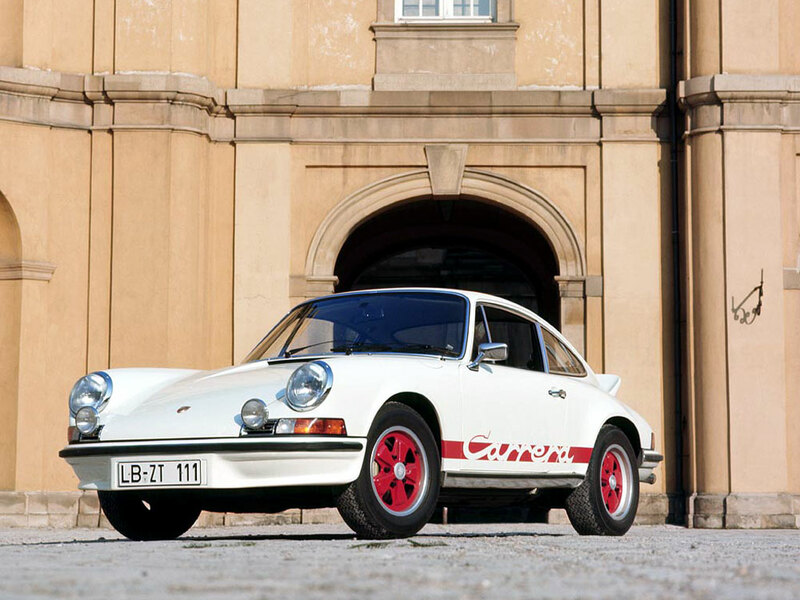 49 Carrera RS cars were built with 2808 cc engines producing 300 PS (221 kW). In 1974, Porsche created the Carrera RS 3.0 with K-Jetronic Bosch fuel injection producing 230 PS (169 kW). 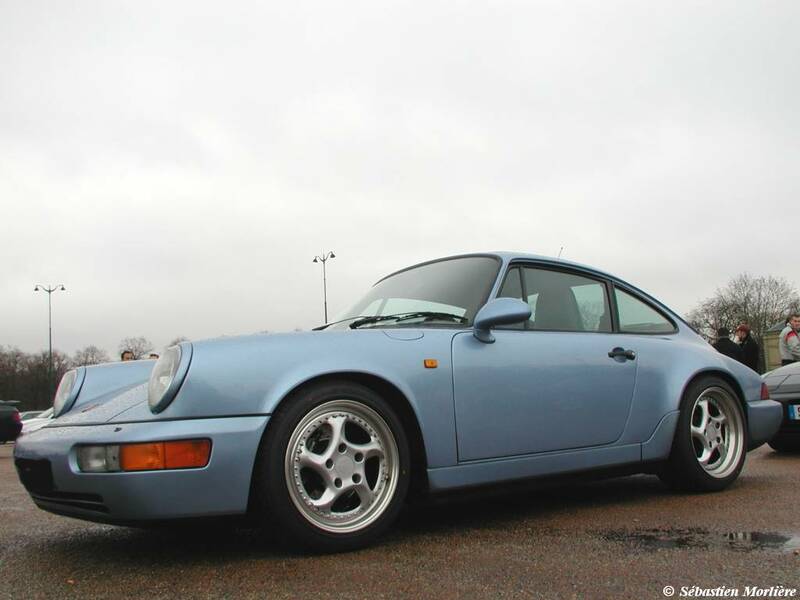 It was almost twice as expensive as the 2.7 RS but offered a fair amount of racing capability for that price. The chassis was largely similar to that of the 1973 Carrera RSR and the brake system was from the Porsche 917. The use of thin metal plate panels and a spartan interior enabled the shipping weight to be reduced to around 900 kg (1984 lb). The Carrera RSR 3.0 was sold to racing teams, and scored outright wins in several major sports car races of the mid 1970s. Also, a prototype Carrera RSR Turbo (with 2.1 L engine due to a 1.4x equivalency formula) came second at the 24 Hours of Le Mans in 1975 and won several major races, a significant event in that its engine would form the basis of many future Porsche attempts in sportscar racing. Save for the earlier Porsche 917, it can be regarded as Porsche’s start of its commitment to turbocharging also in road cars. Model year 1974 saw three significant changes. First, the engine size was increased to 2687 cc giving an increase in torque. Second, was the introduction of impact bumpers to conform with low speed protection requirements of US law, these bumpers being so successfully integrated into the design that they remained unchanged for 15 years. Thirdly, the use of K-Jetronic CIS Bosch fuel injection in two of the three models in the line up— the Porsche 911 and Porsche 911S models, retaining the narrow rear arches of the old 2.4, now had a detuned version of the RS engine producing 150 PS (110 kW; 150 hp) and 175 PS (129 kW; 173 hp), respectively. 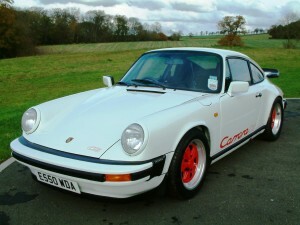 The Carrera 2.7 retained the same 210 bhp MFI engine, suspension, brakes etc. as the 1973 Carrera RS. It weighed in at 1075 kg, the same as the RS Touring.The US market Carrera only had the 165 bhp CIS engine owing to emission regs. 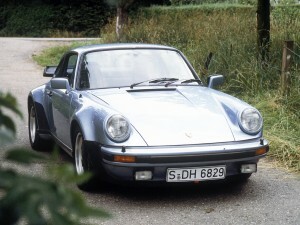 The Porsche 930 Turbo was introduced in 1975 (see below). The Carrera 3.0 was introduced in 1976 with what was essentially the Turbo’s 2994 cc engine minus the turbocharger, and with K-Jetronic CIS although now developing 200 PS (150 kW; 200 hp). 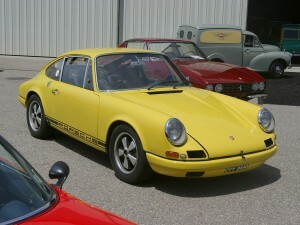 Also produced in the 1976 model year for the U.S. market, was the 912E, a 4-cylinder version of the Porsche 911 like the 912 that had last been produced in 1969. It used the I-series chassis and the Volkswagen 2.0 engine from the Porsche 914. In all, 2099 units were produced. In 1976 the front-engine Porsche 924 took this cars place for the 1977 model year and beyond. 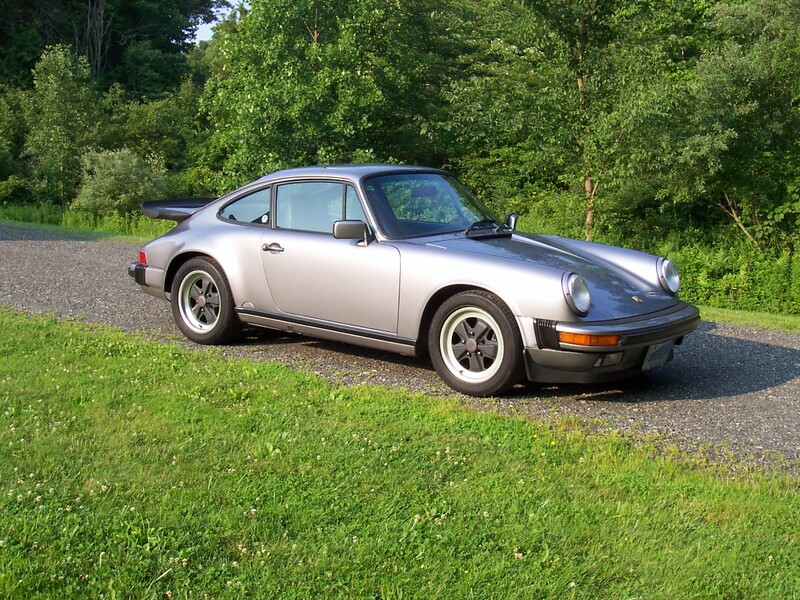 In 1974 Porsche introduced the first production turbocharged Porsche 911. Although called simply Porsche 911 Turbo in Europe, it was marketed as Porsche 930 (930 being its internal type number) in North America. The body shape is distinctive thanks to wide wheel-arches to accommodate the wide tires, and a large rear spoiler often known as a “whale tail” on the early cars, and “tea-tray” on the later ones. Starting out with a 3.0 L engine 260 PS (190 kW; 260 hp), these early cars are known for their exhilarating acceleration coupled with challenging handling characteristics and extremeturbo lag. For 1978, capacity rose to 3.3 L 300 PS (220 kW; 300 hp), and an intercooler was added which was placed under the rear spoiler. Production figures of the basic Porsche 930 soon qualified it for FIA Group 4 competition, with the racing version called the Porsche 934 of 1976. Many participated at Le Mans and other races including some epic battles with the BMW 3.0 CSL “Batmobile”. 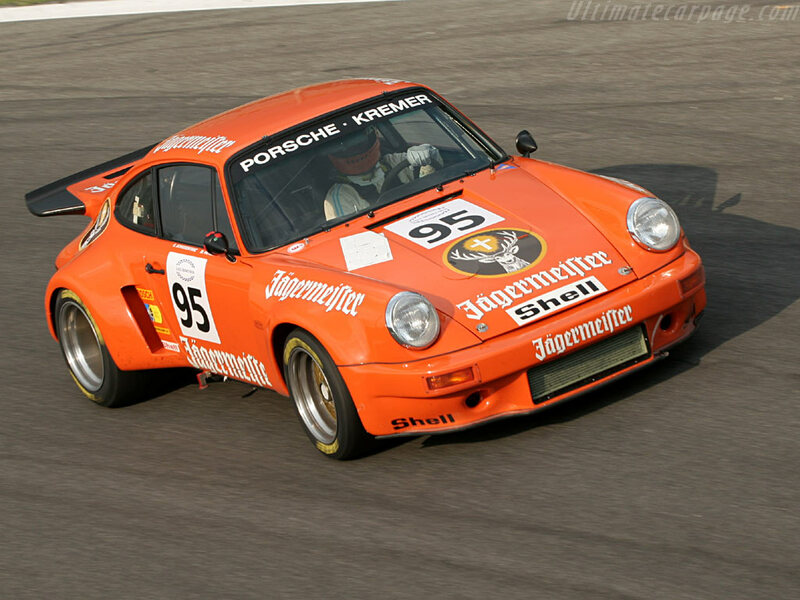 The wilder FIA Group 5 version called Porsche 935 evolved from the 2.1 L RSR Turbo of 1974. Fitted with a slope nose, the 500+ PS car was campaigned in 1976 by the factory, winning the world championship title. Private teams went on to win many races, like Le Mans in 1979, and continued to compete successfully with the car well into the 1980s until the FIA and IMSA rules were changed. Only in 1989, its last year of production, was the Porsche 930 equipped with a five-speed gearbox. The Porsche 930 was replaced in 1990 with a Porsche 964 version featuring the same 3.3 L engine. There have been turbocharged variants of each subsequent generation of Porsche 911. 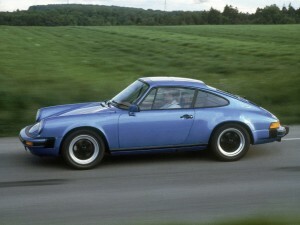 In 1978, Porsche introduced the new version of the Porsche 911, called the “Porsche 911 SC”. It featured a 3.0 liter engine with Bosch K-Jetronic fuel injection and a 5 speed 915 transmission. Porsche broke away from using magnesium crankcases like in the late 2.0, 2.2, 2.4, and 2.7 liter engines. This was the start of what are considered by collectors to be the most reliable 911s. In 1981, a Cabriolet concept car was introduced at the Frankfurt Motor Show. Not only was the car a true convertible, but it also featured four-wheel drive, although this was dropped in the production version. 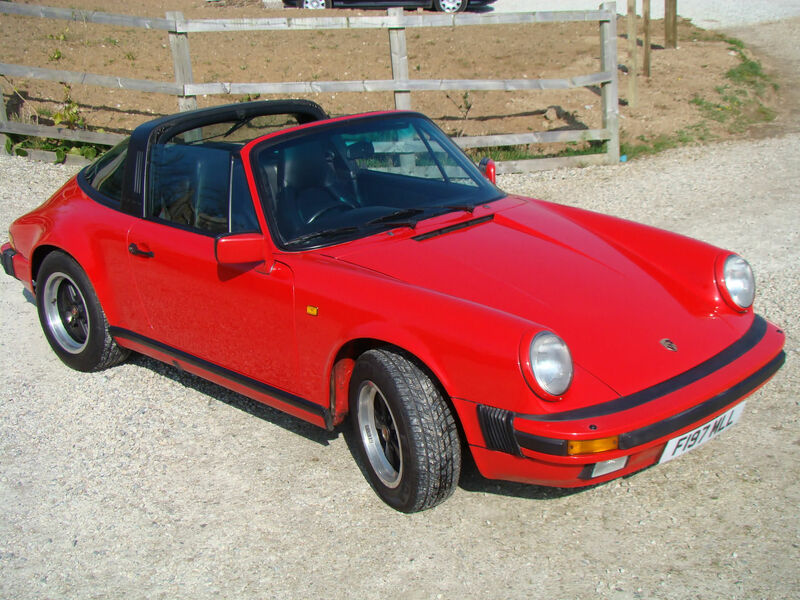 The first Porsche 911 Cabriolet debuted in late 1982, as a 1983 model. This was Porsche’s first cabriolet since the Porsche 356 of the mid-1960s. It proved very popular with 4,214 sold in its introductory year, despite its premium price relative to the open-top targa. Cabriolet versions of the Porsche 911 have been offered ever since. 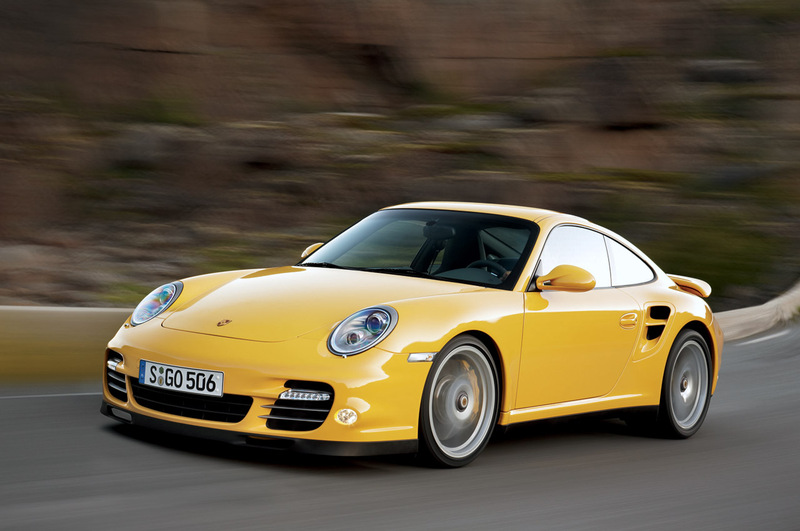 It was during this time, that Porsche AG decided the long-term fate of the Porsche 911. In 1979 Porsche had made plans to replace the Porsche 911 with their new Porsche 928. Sales of the Porsche 911 remained so strong however, that Porsche revised its strategy and decided to inject new life into the Porsche 911 editions. Porsche 911 SC sales totaled 58,914 cars. With the Porsche 911’s future ensured, 1984 saw the launch of a replacement for the successful SC series. It was the model year 1984 Porsche 911 3.2 Carrera, reviving the Carrera name for the first time since 1975. The 911 3.2 Carrera was the last iteration in the original Porsche 911 series, with all subsequent models featuring new body styling with new brake, electronic and suspension technologies. With the new engine, power was increased to 207 bhp (154 kW; 210 PS) (@ 5900 rpm) for North American-delivered cars and to 231 bhp (172 kW; 234 PS) (@ 5900 rpm) for most other markets. This version of the Porsche 911 accelerated 0–60 mph (100 km/h) in 5.4 seconds and had a top speed of 150 mph (242 km/h) as measured by Autocar. Factory times were more modest: 0-60 mph time of 6.3 seconds for the USversion and 6.1 seconds for cars outside the American market. Three basic models were available throughout the Carrera years – coupe, targa and cabriolet. When launched in 1984 in the United States, the prices of the 911 Carrera lineup were $31,950 for the coupe, $33,450 for the targa and $36,450 for the cabriolet. Almost indistinguishable from the SC, external clues are the front fog lights, which were integrated into the front valance in the Carrera. Very modest cosmetic changes were made throughout the lifespan of the Carrera, with a redesigned dash featuring larger air conditioning vents appearing in 1986. In 1984, Porsche also introduced the M491 option. Officially called the Supersport in the UK, it was commonly known as the “Turbo-look”. It was a style that resembled the Porsche 930 Turbo with wide wheel arches and the distinctive “tea tray” tail. It featured the stiffer turbo suspension and the superior turbo braking system as well as the wider turbo wheels. 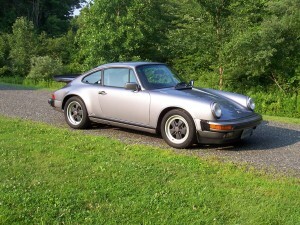 Sales of the Supersport were particularly strong for its first two years in the United States because the desirable Porsche 930 was not available. For the European market in Italy a very exclusive version was introduced by the Porsche agent, ten Carrera model ST (Senza Turbo) were produced to commemorate the myth of the 10th anniversary of the Carrera RS model, revised engine developing 255 bhp (190 kW; 259 PS) they were all “Grand Prix white” with red or blue “Carrera ST” decal on each side of the car and blue or red wheels, the logo carrera ST (and 3.2 on the boot gril) on their famous duck tail, and a special engraved plate on the dash board, the serial N° were 490-499. The Porsche 911 Carrera Club Sport (CS) (option M637), 340 of which were produced worldwide from August 1987 to September 1989, is a reduced weight version of the standard Carrera that, with engine and suspension modifications, was purpose built for club racing. The CS had a blueprinted engine with hollow intake valves and a higher rev limit, deletion of: all power options, sunroof (except one example), air conditioning (except two examples), radio, rear seat, undercoating, sound insulation, rear wiper, door pocket lids, fog lamps, front hood locking mechanism, engine and luggage compartment lights, lockable wheel nuts and even the rear lid “Carrera” logo, all in order to save an estimated 70 kg (155 lb) in weight. With the exception of CSs delivered to the UK, all are identifiable by the “CS Club Sport” decal on the left front fender and came in a variety of colors, some special ordered. Some U.S. CS’s did not have the decal installed by the dealer; however, all CS’s have a “SP” stamp on the crankcase and cylinder head. The UK CS’s were all “Grand Prix White” with a red “Carrera CS” decal on each side of the car and red wheels. Although the CS was well received by the club racers, because it cost more than the stock Porsche 911 but had fewer “creature comforts”, it was not well received by the public in general. Consequently, according to Porsche Club of America and Porsche Club Great Britain CS Registers, only 21 are documented as delivered to the U.S. in 1988 with 7 in 1989, one to Canada in 1988 and 53 to the United Kingdom from 1987 to 1989. The Porsche 911 Speedster (option M503), a low-roof version of the Cabriolet which was evocative of the Porsche 356 Speedster of the 1950s, was produced in limited numbers (2,104) starting in January 1989 until July 1989 as both a narrow body car and a Turbo-look. The narrow version was produced only 171 times. 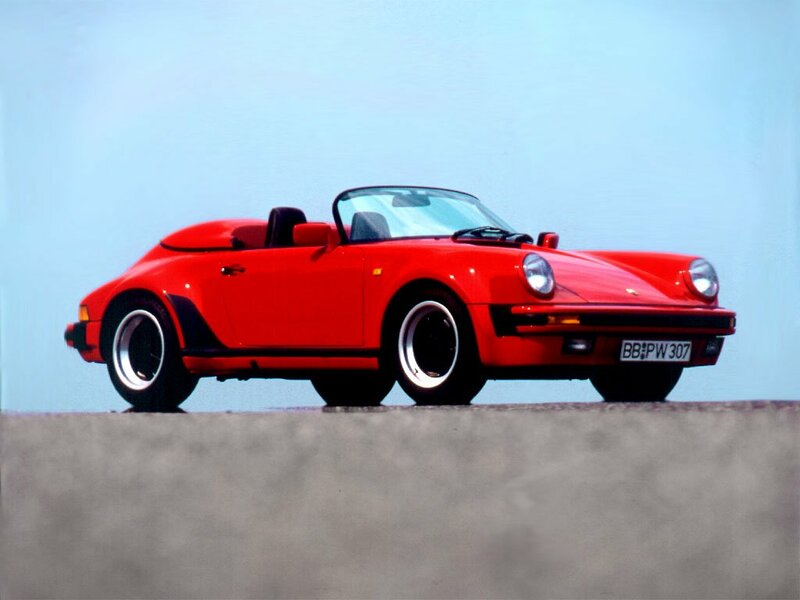 The Speedster started as a design under Helmuth Bott in 1983 but was not manufactured until six years later. It was a two-seat convertible that featured a low swept windshield. Total production of the Porsche 911 3.2 Carrera series was 76473 cars (35670 coupé, 19987 cabrio, 18468 targa). In late 1989, the Porsche 911 underwent a major evolution with the introduction of the Type 964. Based with many innovative technologies from the 959 model, this would be a very important car for Porsche, since the world economy was undergoing recession and the company could not rely on its image alone. It was launched as the Carrera 4, the “4” indicating four-wheel-drive, a decision that surprised many but demonstrated the company’s commitment to engineering by reminding buyers that race and rally engineering (of the 959) does affect road cars. Drag coefficient was down to 0.32. A rear spoiler deployed at high speed, preserving the purity of line when the vehicle was at rest. The chassis was redesigned overall. Coil springs, ABS brakes and power steering made their debut. The engine was increased in size to 3600 cc and developed 250 PS (184 kW). The car was more refined, but thought by some journalists to have lost some purity of the Porsche 911’s concept. 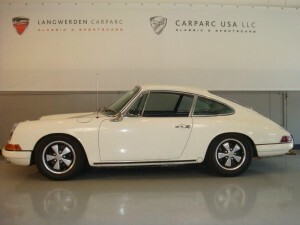 The rear-wheel-drive version, the Carrera 2, arrived a year later. The Porsche 964 incarnation of the 911 Turbo returned in 1990 after an absence from the price lists. Using a refined 3.3 L engine of the previous Turbo, but two years later a turbo engine based on the 3.6 L engine of the other models was introduced. In 1990, Porsche introduced the ahead-of-its-time Tiptronic automatic transmission in the Porsche 964 Carrera 2, featuring adaptive electronic management and full manual control. The 964 was one of the first cars in the world offered with dual airbags standard (from 1991), the first being the Porsche 944 Turbo (from 1987). In 1992, Porsche re-introduced a limited-edition RS model, inspired by the 1973 Carrera RS and emissions-legal in Europe only. 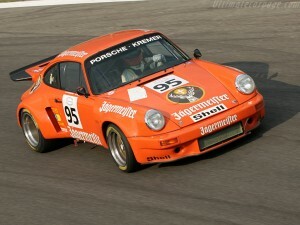 Appeals from American customers resulted in Porsche developing the RS America of which 701 were built. However, while European RS was a homologation special, RS America was an option delete variant of the regular model. The RS 3.8 of 1993 had Turbo-style bodywork, a larger fixed whale tail in place of the movable rear spoiler, and a 300 PS (221 kW) 3746 cc engine. Since the RS/RS America was intended as a no-frills, higher performance version of the Porsche 964, there were only four factory options available: alimited-slip differential, AM/FM cassette stereo, air conditioning, and a sunroof. The interior was more basic than a standard Porsche 911 as well; for example the interior door panels lacked the armrests and door pockets and had a simple pull strap for the opening mechanism. 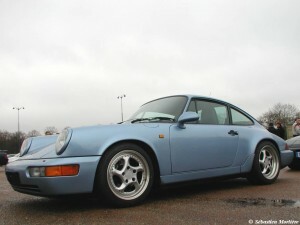 Although the RS America was about $10,000 cheaper than a fully equipped C2 at the time of their production, these models now command a premium price on the used market over a standard Porsche 964 (RS Europe was about $20,000 more expensive than a C2). In 1990 Porsche introduced a Turbo version of the Porsche 964 series. 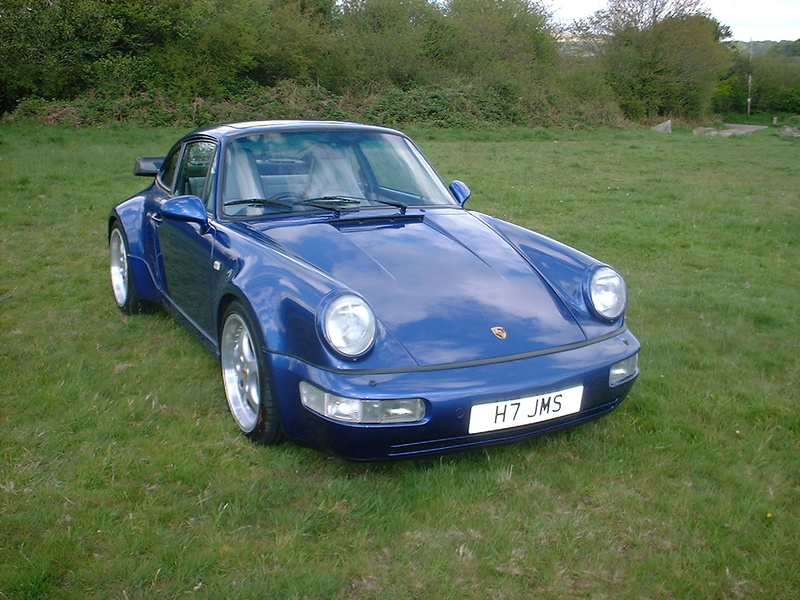 This car is sometimes mistakenly called 965 (this type number actually referred to a stillborn project that would have been a hi-tech turbocharged car in the vein of the 959). For the 1991 and 1992 model years, Porsche produced the Porsche 964 Turbo with the Porsche 930’s proven 3.3 L engine, improved to produce 320 PS (235 kW). 1993 brought the Carrera 2/4’s 3.6 L engine, now in turbo-charged form and sending a staggering 360 PS (265 kW) to the rear wheels. With the Porsche 993 on the way, this car was produced through 1994 and remains rather rare. The 911 was again revised in 1993 under the internal name Porsche 993. 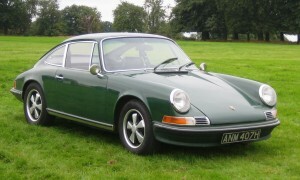 This car was significant as it was the final incarnation of the air-cooled 911, introduced in 1964. The exterior featured an all new front and rear end. The revised bodywork was smoother, having a noticeably more aerodynamic front end somewhat reminiscent of the 959. Styling was by Englishman Tony Hatter under the supervision of design chief Harm Lagaay. Along with the revised bodywork, mechanically the Porsche 993 also featured an all-new multilink rear suspension that improved the car’s ride and handling. This rear suspension was largely derived from the stillborn Porsche 989’s rear multilink design, and served to rectify the problems with earlier models’ tendency to oversteer if the throttle or brakes were applied mid-corner. These modifications also reduced previous Porsche 911’s lift-off oversteer problems to a much more moderate degree. The new suspension, along with chassis refinements, enabled the car to keep up dynamically with the competition. Engine capacity remained at 3.6 L, but power rose to 272 PS (200 kW) thanks to better engine management and exhaust design, and beginning with model year 1996 to 286 PS (210 kW). The Porsche 993 was the first Porsche to debut variable-length intake runners with the “Varioram” system on 1996 models. This addressed the inherent compromise between high-RPM power production and low-RPM torque production, and was one of the first of its kind to be employed on production vehicles. A new four-wheel-drive made a return as an option in the form of the Carrera 4, the rear wheel drive versions simply being called Carrera. A light weight RS version saw capacity rise to 3.8 L, with power reaching 300 PS (221 kW). The RS version had rear-wheel drive only. Non-turbo models appeared that used the Turbo’s wide body shell and some other components (the Carrera 4S and later the Carrera S). The rare Targa open-topped model also made a return, this time with a large glass roof that slid under the rear window. 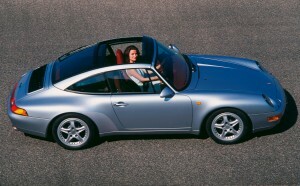 The expensive air-cooled Porsche 993 Targa had a limited release between 1996–1998. A Turbo version of the Porsche 993 was launched in 1995 and became the first standard production Porsche with twin turbochargers and the first 911 Turbo to be equipped with permanent all-wheel-drive (the homologated GT2 retained RWD). The similarity in specification and in performance levels inspired several comparison road tests with the Porsche 959. The 3.6 L twin turbo M64/60 engine produced 408 PS (300 kW). 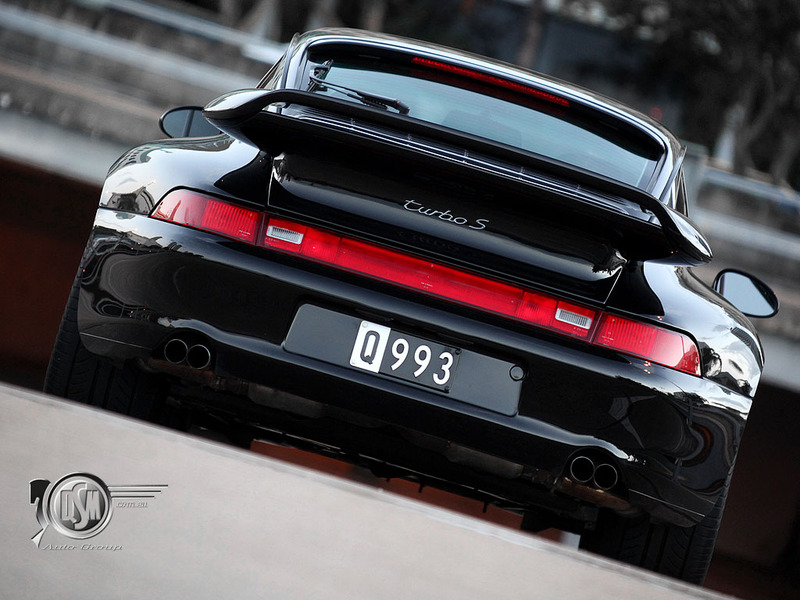 In 1997, Porsche introduced a limited run of 182 copies of the 993 911 Turbo S with even higher performance. The additions include a boost of 24 PS (17.7 kW) over the regular Turbo’s 400 PS (294 kW). There are some modifications to the body as well, which includes a scoop on the side right behind the doors for engine cooling and vents on the whale tail rear spoiler. Porsche 993 Turbo models, because of raw power, reliability and their nature as the final air-cooled Porsche 911 Turbo cars still command a massive premium. After 34 years in production the famous air-cooled Porsche 911 was replaced by an all-new water-cooled model. 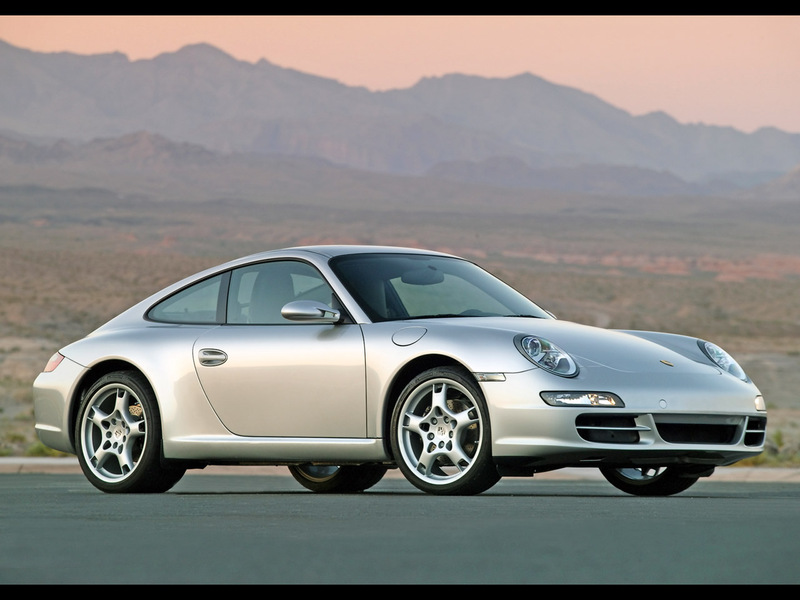 Known as the Porsche 996, this car was a major leap for Porsche, although many of the traits that defined the Porsche 911 during past decades still remained. With the new model there was finally a newly designed body shell (all previous 911s being based on the original 1963 shell). As with the Porsche 993 before it the Porsche 996 was also a significant model, but mainly for the way it was conceived and designed, and the effect it had on Porsche during the 1990s. 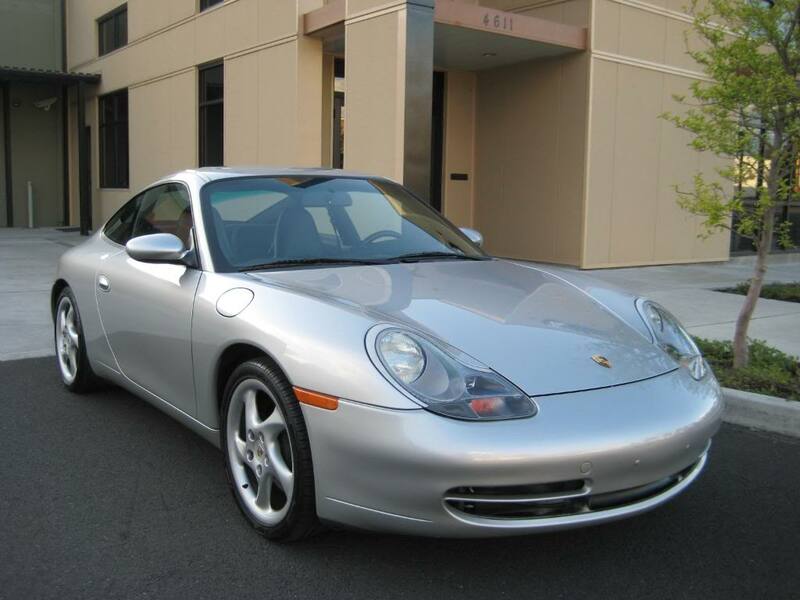 Pundits criticized the Porsche 996’s styling a great deal, largely because it shared its headlamps— indeed much of its front end, mechanically— with the less expensive Porsche Boxster. The Porsche 996 had been on the drawing board first and was a more advanced car in some respects, but the cost-cutting seemed inappropriate for an expensive car. Otherwise, the Pinky Lai-penned shape followed the original Butzi Porsche design very closely; the Carrera model had a 0.30 Coefficient of drag. The interior was further criticized for its plainness and its lack of relationship to prior Porsche 911 interiors, although this came largely from owners of older 911s. The Porsche 996 spawned over a dozen variations, including all wheel drive Carrera 4 and Carrera 4S (which had a ‘Turbo look’) models, the club racing-oriented GT3, and the forced-induction 996 Turbo and GT2. The Turbo, four-wheel-drive and twin-turbo, often made appearances in magazines’ lists of the best cars on sale. The Carrera and Carrera 4 underwent revisions for model year 2002, receiving the front headlight/indicator lights which were first seen on the Turbo version two years earlier. This allowed the Porsche 911 to be more distinguishable from the Porsche Boxster. A mildly revised front fascia was also introduced, though the basic architecture remained. A limited number (1963) of 2004 40th Anniversary Editions include a more powerful 345-horsepower engine, a standard Porsche Stability Management system (PSM), enhanced acceleration due to a mechanical rear axle differential lock, more aggressive suspension tuning. Painted GT Silver metallic, the 40th Anniversary edition of the 2004 Porsche 911 Carrera has front air cooling openings like the Porsche 911 Turbo, body-color air intake grilles, unique sill trim and an aluminum 911 logo on the engine cover, polished 18-inch wheels, and high-gloss chromed tailpipes. Other equipment on this limited production model includes a power sunroof and bi-Xenon headlights with dynamic beam angle control and lens cleaners. Inside the 40th Anniversary 911 Carrera, dark gray leather sport seats include two-stage heating, special silver metallic and aluminum interior trim and a numbered plaque on the center console. Engine wise, displacement was 3.4 L and power 300 PS (221 kW)featuring dry sump technology and variable valve timing, increased in 2002 to 3.6 L and 320 PS (235 kW). The roof system on the convertible transformed the car from a coupe to a roadster in 19 seconds. The car is equipped with a rear spoiler that raises at speeds over 120 km/h (75 mph). It can also be raised manually by means of an electric switch. Starting from the water-cooled engines models, US-spec 911 Carreras don’t come with rear limited-slip differential, except the 40th Anniversary 911, GT2, GT3 and Carrera GT. US-spec Porsche 911 Turbo comes with limited-slip center differential, like the rest of the world. Porsche unveiled a road-going GT3 version of the Porsche 996 series which was derived from the racing GT3. 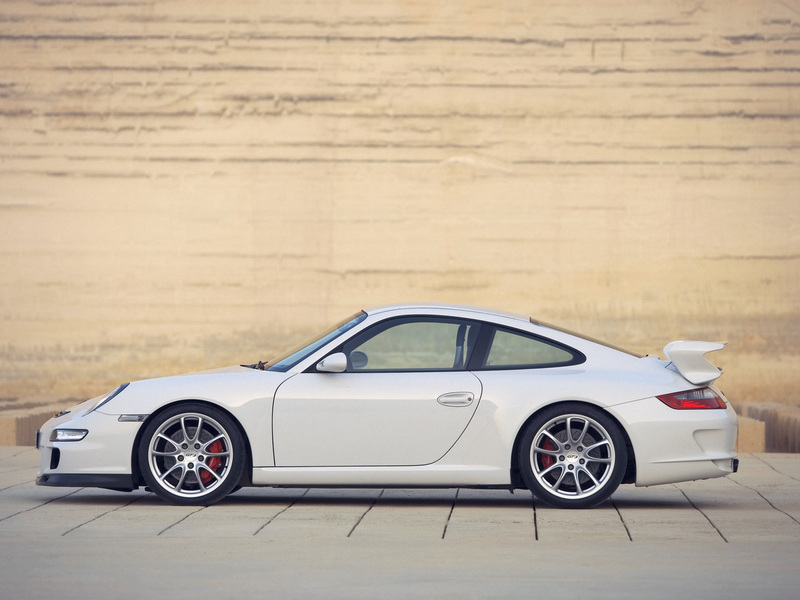 Simply called GT3, the car featured lightweight materials inside and out, including thinner windows, the GT3 was a lighter and more focused 911 with the emphasis on handling and performance. 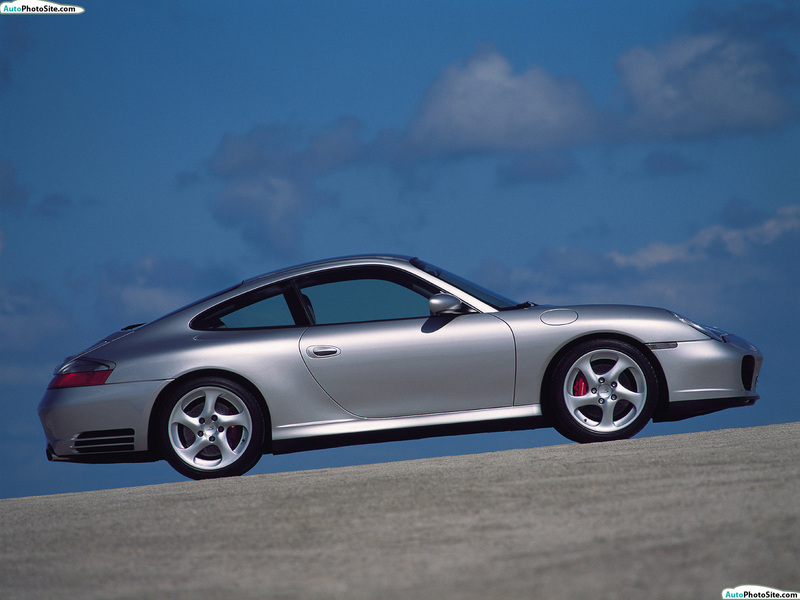 The suspension was lower and more aggressive than other Porsche 996s, leading to excellent handling and razor-sharp steering though the ride was very firm. Of more significance was the engine used in the GT3. Instead of using a version of the water-cooled units found in other 996s, the naturally aspirated engine was derived from the Porsche 911 GT1 ’98 sports-prototype racing car and featured lightweight materials which enabled the engine to rev highly. Its engine was a non-turbo 3600 cc F6 rather than either engine from the pre-facelift and revised Carrera. It produced 360 bhp (268 kW; 365 PS) at first, later increased to 381 bhp (284 kW; 386 PS) at the whole 996 series’ revision. The GT3 did not feature rear seats. 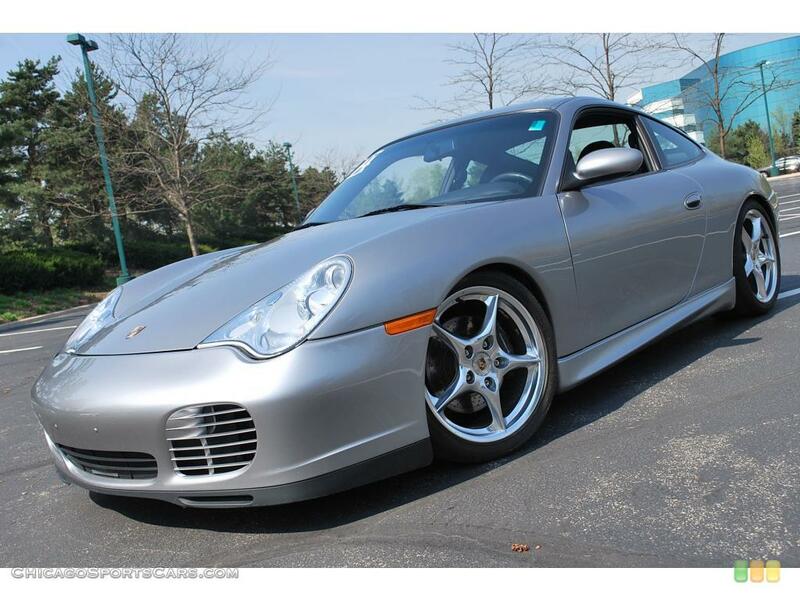 In 2000, Porsche launched the Turbo version of the Porsche 996. Like the GT3, the new Turbo engine derived from the 911 GT1 engine and, like its predecessor, featured twin-turbos and now developed 420 PS (309 kW). Also like its predecessor the new Turbo was only available with all wheel drive. A US$17,000 factory option, the X50 package, was available that boosted the engine output to 450 PS (331 kW) with 620 N·m (457 ft·lbff) of torque across a wide section of the power band. With the X50 package in place the car could make 0–100 km/h (0–62 mph) in 3.8 seconds. This package is named as Turbo S in Europe. Later on toward the end of the 996 life cycle, a 996 Turbo S coupe also returned to the US along with a new debut of the Turbo S Cabriolet boasting even more power— 450 PS (331 kW) and 620 N·m (457 ft·lbff)— than the regular Turbo. The Turbo can reach a top speed of 189 mph (304 km/h). Styling-wise (coefficient of drag:0.32), the car was more individual than previous Turbos. Along with the traditional wider rear wings, the Porsche 996 Turbo had different front lights and bumpers when compared to the Carrera and Carrera 4. The rear bumper had air vents that were reminiscent of those on the Porsche 959 and there were large vents on the front bumper, which have been copied on the Carrera 4S and Porsche ayenne Turbo. 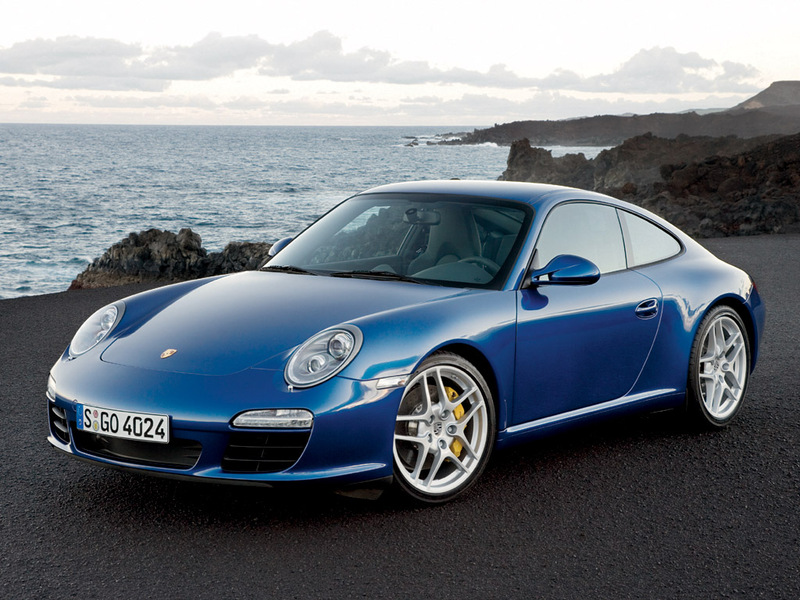 In 2005, the Porsche 911 was heavily revised and the 996’s replacement, the Porsche 997, was unveiled. The Porsche 997 keeps the basic profile of the 996, bringing the drag coefficient down to 0.28, but draws on the Porsche 993 for detailing. In addition, the new headlights revert to the original bug-eye design, drifting from the teardrop scheme of the Porsche 996. Its interior is also similarly revised, with strong links to the earlier 911 interiors while at the same time looking fresh and modern. The Porsche 997 shares less than a third of its parts with the outgoing 996, but is still technically very similar to it. Initially, two versions of the Porsche 997 were introduced— the rear wheel drive Carrera and Carrera S. While the base Porsche 997 Carrera produced 325 PS (239 kW) from its 3.6 L Flat 6, a more powerful 3.8 L 355 PS (261 kW) Flat 6 powers the Carrera S. Besides a more powerful engine, the Carrera S also comes standard with 19 inch (48 cm) “Lobster Fork” style wheels, more powerful and larger brakes (with red calipers), a more sporty suspension, complete with PASM (Porsche Active Suspension Management) which allows for electronic adjustability of suspension settings, Xenon Headlamps, and Sport Steering wheel. In late 2005, Porsche announced the all wheel drive versions to the Porsche 997 lineup. Carrera 4 models (both Carrera 4 and Carrera 4S) were announced as 2006 models. Both Carrera 4 models are wider than their rear wheel drive counterparts by 1.26 inches (32 mm) to cover wider rear tires. 0–60 mph (97 km/h) for a base Carrera 4 with the 325 PS (239 kW; 321 hp) engine was reported at 4.5 seconds. The 0–100 km/h (62 mph) acceleration for the Carrera S with the 355 PS (261 kW; 350 hp) was noted to be as fast as 4.2 seconds in a recent Motor Trendcomparison, and Road & Track has timed it at 3.8 seconds. The Porsche 997 lineup includes both 2 and 4 wheel drive variants, named Carrera 2 and Carrera 4 respectively. The Targas (4 and 4S), released in November 2006, are 4-wheel drive versions that divide the difference between the coupes and the cabriolets with their dual, sliding glass tops. The Turbo version of the Porsche 997 series featured the same 3.6 L twin-turbocharged engine as the Porsche 996 Turbo, but this time it developed 480 PS (353 kW; 473 bhp) and 620 N·m (457 lb·ft) of torque. This was in part due to the 997’s VTG (variable turbine geometry), which essentially combines the low-rev boost and quick responses of a small turbocharger with the high-rev power of a larger turbocharger. As well as producing more power and flexibility, the new turbocharger improved fuel consumption over the Porsche 996 Turbo. With these performance upgrades, it accelerates to 100 km/h (62 mph) in 3.7 seconds (with the manual transmission) and reaches a top speed of 310 km/h (193 mph). However, these are official figures and Porsche is notable for being conservative about their power and performance ratings. 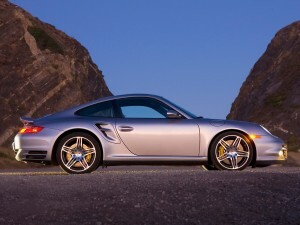 Motor Trend Magazine has clocked the Porsche 997 Turbo’s 0–60 mph time in 3.2 seconds with the Tiptronic transmission. Jeremy Clarkson on his “Thriller” dvd, showed that on a de-restricted stretch of autobahn with just the right downwards gradient, the car maxed out 200 mph (320 km/h). The optional Sports Chrono overboost package increases torque to 680 N·m (500 lb·ft) for short periods (maximum 10 seconds) but over a narrower rev range. 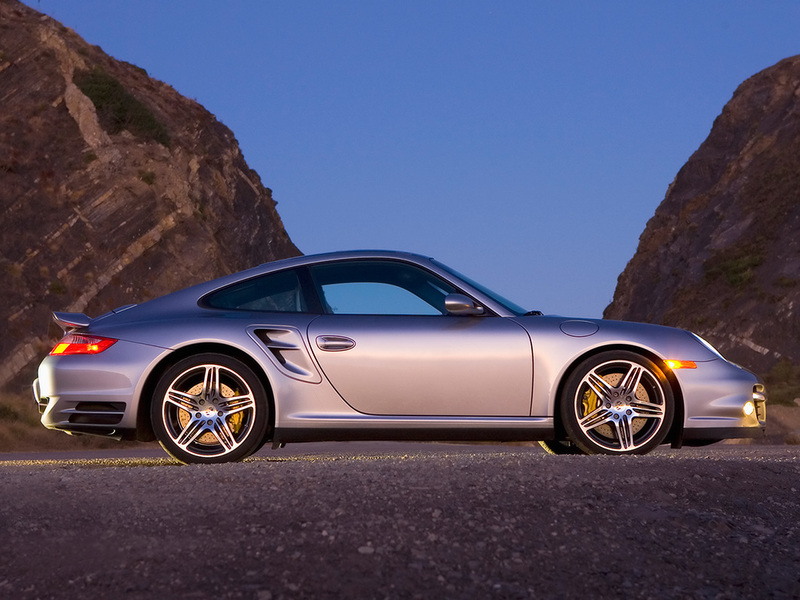 The Porsche 997 Turbo features a new all wheel drive system, similar to the one found on the Porsche Cayenne. Featuring PTM (Porsche Traction Management) the new system incorporates a clutch-based system which varies the amount of torque to the wheels to avoid tyre slippage. This, according to Porsche, aids traction and the handling by redirecting the torque to control oversteer or understeer, thus resulting in far more neutral handling, as well as greatly improved performance in all weather conditions (as opposed to older AWD system which gave the Turbo stability under hard acceleration). However, in the face lifted Porsche 911 Turbo, launched in August 2009, the PTM system has now been tweaked to give more a more rearward power bias. The Porsche 911 Turbo also has paddle shifters for the PDK double-clutch gearbox for the first time. The new 911 turbo uses a completely different engine. The previous water cooled turbos (Porsche 996 and Porsche 997) measured 3600cc and were based on the so called Mezger motor that powered numerous race cars. 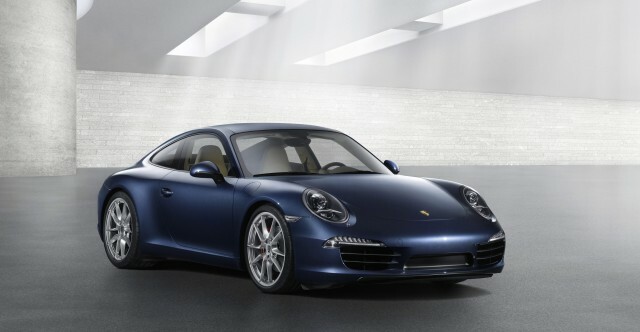 The new engine measures 3800cc and was first developed for the new carrera that was launched in 2008. The variable-vane twin turbochargers have also been extensively reworked to increase responsiveness, and the intercooler and fuel system have been uprated. It develops 493 bhp which is 20 bhp more than the previous model. The steering wheel also houses a display showing when Sport, Sport Plus and launch control have been selected through the optional Sport Chrono package. Styling wise, as with the Porsche 996 Turbo the car featured more distinctive styling cues over the Carreras, one of the more distinctive elements the front LED driving/parking/indicator lights mounted on a horizontal bar across the air intakes. The traditional rear wing is a variation of the 996 bi-plane unit. 997 Porsche 911 Turbo S has been announced by Porsche for production in 2010. This is, in essence, a fully optioned Porsche 911 Turbo. It has a PDK gearbox, sport exhausts, and other such options as standard. It also comes with re engineered turbos to give an extra 30 horsepower. A 2010 911 Turbo was tested 0-60 in 2.7 seconds with the PDK transmission by Car and Driver magazine. Road & Track tested the 911 Turbo S and achieved a 0-60 time of 2.6 seconds. The Porsche 911 GT3, announced on February 24, 2006 accelerates 0–100 km/h in 4.1 seconds and reach a top speed of 310 km/h (193 mph), almost as quick as the Turbo. Porsche’s factory reports can be conservative though; Excellence magazine tested the Porsche 997 GT3 and recorded 0–100 km/h in 3.9 seconds and a top speed of 312 km/h (194 mph). 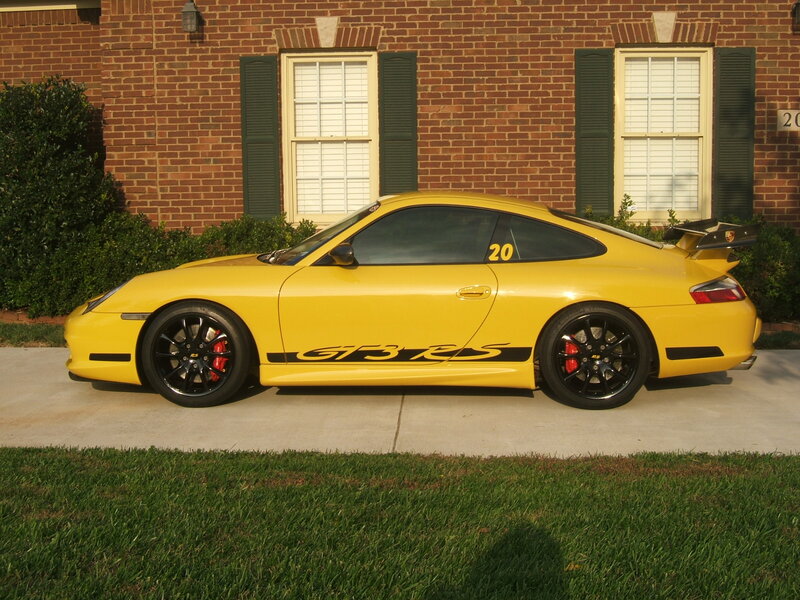 The Porsche 997 GT3 was released in the summer of 2006. It was at that time crowned “the best handling car in America” by Motor Trend. The 911 GT3 RS was announced in early 2006 as a homologation version of the GT3 RSR racing car for competition events like Sebring and the 24 Hours of Le Mans. The drivetrain of the RS is based on the Porsche 911 GT3, except for the addition of a lightweight flywheel and closer gear ratios for further improved response under acceleration. Unlike the GT3, the RS is built on the body and chasis of the 911 Carrera 4 and Turbo, and accordingly has a wider rear track for better cornering characteristics on the track. Visually, the RS is distinguished by its unique color scheme – bright orange or green with black accents, which traces its roots to the iconic Carrera RS of 1973. 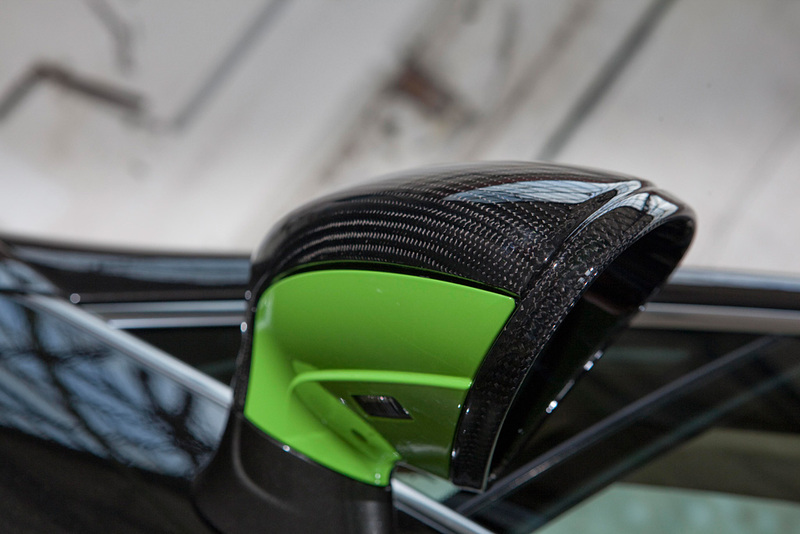 The plastic rear deck lid is topped by a wide carbon-fiber rear wing. The front airdam has also been fitted with an aero splitter to improve front downforce and provide even more cooling air through the radiator. The European version of the RS is also fitted with lightweight plexiglass rear windows and a factory-installed roll cage. Production of the first generation Porsche 997 GT3 RS ended in 2009. An estimated 413 units were delivered to the US and the worldwide production run is estimated to be under 2,000 vehicles. In August 2009, Porsche announced the second generation of the Porsche 997 GT3 RS with an enlarged 3.8-liter engine producing 450 bhp (336 kW), a modified suspension, dynamic engine mounts, new titanium sport exhaust, and modified lightweight bodywork. 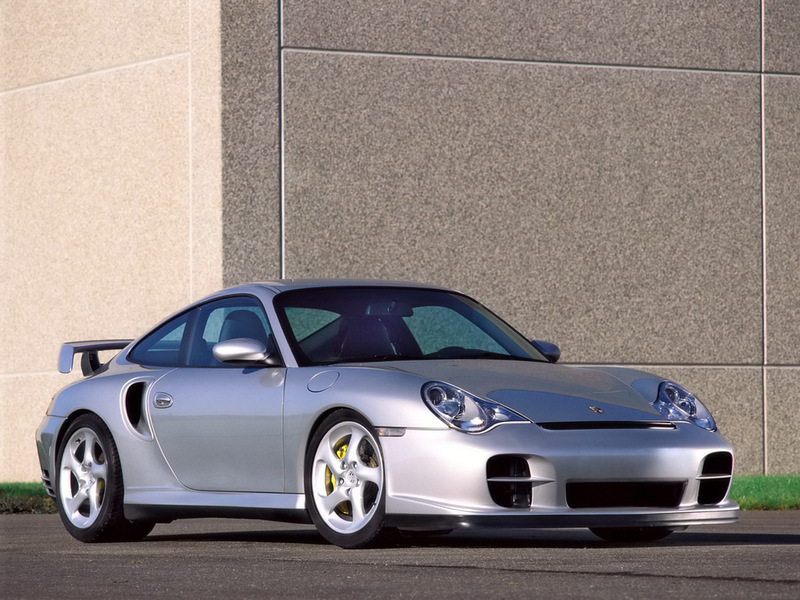 The Porsche 996 911 GT2 was superseded by the Porsche 997 GT2 in 2007. On July 16, 2007, Porsche sent out the first official press release concerning the Porsche 997 GT2. 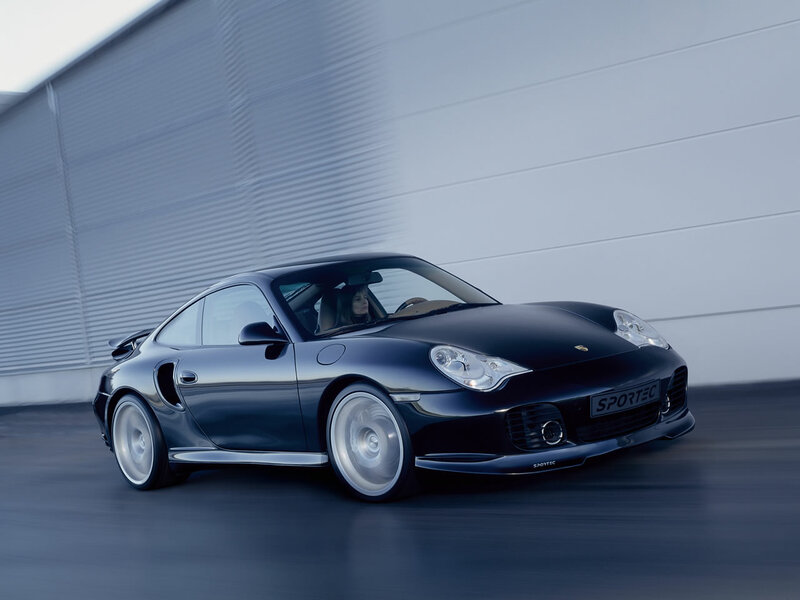 The GT2 was officially launched during the 62nd Frankfurt Motor Show, which is held biannually in Frankfurt, Germany. The new 911 GT2 arrived at dealerships on November 2007. The Porsche 997 GT2 has a twin turbocharged 3.6 litre 6-cylinder engine, which generates 523 hp (390 kW) at 6500 rpm. The GT2 accelerates in 3.6 seconds to 60 miles per hour (97 km/h) and in 7.4 seconds to 100 mph (161 km/h) and has a maximum top speed of 204 mph (328 km/h). This makes it the first street-legal 911 to exceed 200 mph (322 km/h), with the exception of the 1998 911 GT1 road car (which is sometimes not considered a true 911 due to its mid-mounted engine). The Porsche 997 GT2 also has a curb weight of 3,175 lb (1,440 kg), 505 lb·ft (685 N·m) of torque from 2200 to 4500 rpm, and a 6-speed manual gearbox. The American auto publication Motor Trend tested a 2008 Porsche 911 GT2 0-60 mph at 3.4 seconds, and 11.4 seconds at 127.9 mph (205.8 km/h) for the quarter mile. The GT2 also recorded a braking distance from 60 mph (97 km/h) to 0 of 98 feet (30 m) and recorded 1.10g lateral grip. 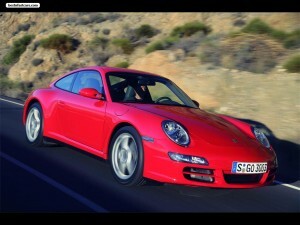 The GT2 made an appearance on Top Gear, where it had a lap time of 1:19.5, faster than a Carrera GT by .3 of a second. Porsche Porsche 997 GT2 appearance slightly differs from its sister-car, the 911 (997) Turbo, in a few ways. It does not have fog lights in the front bumper, it has a revised front lip, it has a different rear wing (with two small air scoops on either side), and it has a different rear bumper (now featuring titanium exhaust pipes). 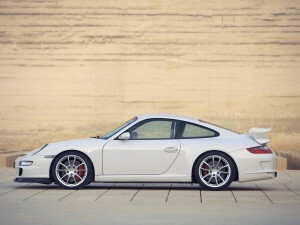 The 997 GT2 is also different from the 997 Turbo in that the GT2 is rear-wheel-drive rather than all-wheel-drive. 2012 Porsche 911 (Porsche 991) officially debuted at Frankfurt Motorshow 2011. Like nearly every Porsche 911 that came before it, the iconic coupe’s design has not changed too much, keeping the line’s classic styling and proportions intact. Aside from some new LED running lamps and revised air intakes up front and some thinner taillights out back, the 2012 new Porsche 911 model is extremely similar to the 997 Porsche 911 currently out on the road. The big changes, though, are more than skin-deep. The 2012 Porsche 911 (Porsche 991) is about two inches longer than the current Porsche 911, and features revised six-cylinder engines. The base Carrera now uses a 3.4-liter direct-injected flat-six, producing 350 horsepower and 280 pound-feet of torque, while the Carrera S will use a direct-injected 3.8-liter unit, delivering 400 hp. Both engines will be mated to a seven-speed manual (yes, we said it) or PDK dual-clutch transmission, either of which can be had with launch control. Inside, the 2012 Porsche 911‘s cabin uses a design borrowed from the Porsche Panamera, with a more pronounced, downward-sloping center console. Like the exterior, nothing radical has been done to the car’s innards. 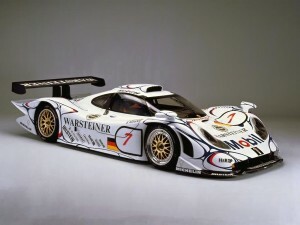 The Porsche 911 GT1 is a car that was developed in 1996 for the GT1 Le Mans racing class. In order to qualify for GT racing, 25 homologation road-going models were built as a requirement. These models developed around 700 horsepower and 0-60 in 3.3 seconds. Top speed was 235 mph. Both the road and race cars carried the same twin-turbo charged engine the Porsche 962 had, and the race car was a match for the McLaren F1 GTRs during which time it raced. A re-developed version of the 911 GT1 race car was built, and this model won the 1998 24 Hours of Le Mans. Although this car is not really considered to be a real 911 (largely because of its mid-mounted engine and built for homologation purposes) it is the most powerful and probably the fastest road-going Porsche ever made.